Can you believe that 2016 is coming to a close?! It has been an absolute rollercoaster of a year and I am sure many of us are glad that it is nearly over. The A.Z team has worked extremely hard over the past few months and I couldn’t be more proud of us. Everyone has really pulled together to share their ideas, opinions and criticisms. I feel so honoured to be a part of such intelligent, passionate and fun group of people. 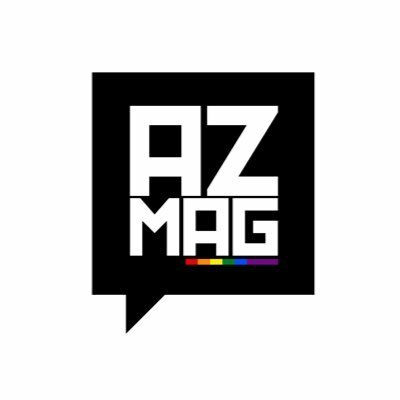 There have been a number of notable accomplishments for the team this year, from partnering with UK Black Pride, the launch of our website and making #DowntimeWithAZ into a reality. It is such a breath of fresh air to be able to create content that people like me can relate to. Although the media has started to become more inclusive and has been representing marginalised groups of people, they do not always get it right. If we create content that we want to see, we are in control of the conversation. The main purpose of A.Z is to give a voice to BAME people within the LGBT+ community as we are more often than not erased from the mainstream LGBT+ community. Organisations always want to scream “diversity” but in my honest opinion they do not truly believe or strive to make their content inclusive. How long should we keep knocking on the club door and ask to be let in? Nobody has time for that. In the time that I spend begging for scraps I could be using that time and energy creating something new and interesting. This year has been an uphill struggle at times; it’s been mentally exhausting and what feels like psychological warfare on the melanated. We’ve all felt the immense rage and sadness linked to the unmentionable number of injustices that have plagued our brothers and sisters the world over. I’m sure like us on the A.Z team, you’ve been angry to the point of tears many times. Way too many times. It’s important to remember going into the new year, that we protect our minds as well as our hearts. It’s okay to take a break from certain things; social media, gossip blogs, newspapers, even certain people! We endeavour to make A.Z a safe place for you, a place where your voice is heard and represented. I want to say a massive thank you to everyone that has supported us and I hope that you continue to stick by us in 2017. Things can only get bigger and better.